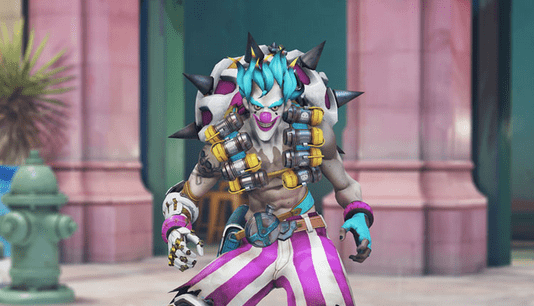 Junkrat is clowning around in new Overwatch Storm Rising skin – AiPT! Here’s hoping you don’t have a fear of clowns. In a surprise move Wednesday evening, Blizzard revealed the new second skin coming to the upcoming Overwatch Storm Rising event — Circus Junkrat. Xbox was given the honor of making the announcement, which they did via their Twitter account. Circus Junkrat is one of nine new skins players can unlock in the upcoming Storm Rising event on April 16. This is the second skin revealed by Blizzard today, following the announcement of Talon Baptiste. Though unlike Talon Baptiste, Circus Junkrat is an epic skin, not legendary. But on the plus side, you can purchase this skin for a much cheaper price than if it were legendary. Junkrat’s new skin comes as a bit of a surprise to some players, with many remarking on Xbox’s announcement Tweet that it looks extremely similar to a preexisting Junkrat skin, Jester Junkrat. Take a look for yourself below. I can’t say I disagree much with fans who’ve remarked at Clown Junkrat’s similarity to Jester Junkrat. The newest skin many be much more vibrant with it’s neon purple and blue colors, but Junkrat’s face is still adored in white makeup. Either way, I hope you’re not afraid of clowns, because if you are, Overwatch is about to become uncomfortable for you. Storm Rising is Overwatch’s newest Archives event that takes players in groups of four on a PVE challenge to the streets of Havana, Cuba. There they’ll race against the clock to hunt down Doomfist’s money man, Maximilian. For this challenge players can play as Tracer, Mercy, Winston, or Genji. Storm Rising begins April 16 and concludes May 6.